During the almost 30 years I plunged/delved into homeopathy I’ve seen it developing both in the what I call the Grammar (the system) and the Vocabulary (the MM) at an enormous speed and momentum. How utterly simple homeopathy seemed in our beginning days when we look at it from our current perspective! System upon system and method upon method is launched, all to help us coping with the ever increasing complexity of our analysis and the unmanageable amount of remedies we are supposed to know, or at least be able to find. What I observe when teaching is that students (and we are all eternal students) get crushed under too much information. It is simply impossible to think of everything at the same time: what level is the patient talking from, what kingdom could it be, is he compensating or not, is the word used a sensation word or a common expression, is it miasm language or sensation language, could it be a remedy I don’t know, maybe even an unknown kingdom, is the patient on source level or just imagining, what could this hand gesture he uses point to, is it state or story what he is telling, what information can I use when he keeps talking psychobabble?? ?, etc.In the past we used to collect some symptoms and some keynotes, called it ‘the totality’ and look them up in the Repertory. Those were the days! Since the only way is forward: more information is bound to come. Fasten your seatbelts: I’m exploring the Gymnosperms, the Sarcodes, the Bacteria, the Fungi, the Rocks and Stones, the Celestial bodies, the Artificial products and so on.We arrived at a point that homeopaths don’t even want to hear about it. Can there be anything more disheartening than a homeopathic seminar on let’s say ‘Spider Remedies’ taking off with the statement “there are about 45.000 species of Spiders” or a lectures on Fungi with the information from Frans Vermeulens’ book “that of the approximately 200.000 species up to now 70.000 are listed”. They stop practicing in despair because they feel they just can’t do it, or they narrow their treatment down to a clear procedure with a very restricted number of remedies presented by one teacher and forget about the rest.I understand.It’s a survival mechanism. We know in survival mode we are not at our best; as a matter of fact we can hardly even think when in that state. Our consciousness contracts to the issue at hand and disregards the bigger reality. But by closing our eyes reality doesn’t vanish. If we adhere to the basic principle of individualization, we should welcome more information, allowing us for better prescriptions.Nevertheless too much is too much. I’d argue that we are in need of simplification along with sophistication. Though it doesn’t sound too exciting good news, in practice I’ve noticed that we would be helped a lot with waterproof pointers to groups of remedies. Many master homeopaths gave keywords, hints, indications and clues and they all help us to some extent. If we could combine them, boil them down to the most reliable sure signs to, if not the species, then at least to the group where the species must be searched for, it would simplify our analysis substantially. 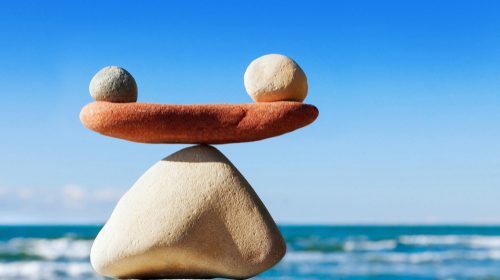 In a former article I discussed the idea we should balance masculine and feminine qualities in homeopathy, meaning that not only system and knowledge have their place but they should be complemented by receptivity and intuition.As a community we sometimes debate whether we need all those novelties, new remedies, yet another new system as the classical homeopathy is actually doing very well. But as also written before: the pioneers tread on new territories while the traditional community holds their ground until new and better paths are discovered and accessible to all. We need both. We have to balance both. In a similar fashion we have to balance ever more information and sophistication with synthesizing and simplifying. What I see as useful tools is the introduction of the context information and the division into 2nd and 3rd dimension. I’ll explain both concepts. We are multidimensional beings, so it said, but on planet earth we deal with only a few of those. Under our feet is the 2nd (the first dimension being the iron crystal in the center of the earth, with which the iron in our blood resonates): all the elements, ores, stones, gems, rocks and simple organisms like bacteria. (for this I can’t recommend enough the book by Thomas Gold: ‘The Deep Hot Biosphere’) . To this list I’d add the Sarcodes, Nosodes and Carbons as ‘simple organisms’ as well. The 3rd dimension is the realm of plants, fungi, animals and humans. These dimensions have distinct characteristics and if we can come to a conclusion as to which one our patient belongs early in the case, the possibilities are already divided in half. Characteristics of the second dimension. When only three Kingdoms are considered, then the Minerals get following features assigned: the sensation of being incomplete and the need to complete themselves. The feeling is that the person is needing, lacking or loosing something in order to be complete. While this is correct is it not the whole story and it doesn’t belong to the element only. As a matter of fact: the simple elements are rarely found on earth. What we dig up are mixtures of elements in the forms of ‘earth’ and stones. While it is true the elements are the building blocks for all other phenomena, they seldom appear in their pure unmixed form. The reason why we prescribe them so much is probably simply because we had something solid scientific and limited as the Periodic Table. It meant a great starting point to categorize our homeopathic remedies in groups and families. But! What is under our feet contains many more possibilities and we should be able to distinguish between those subgroups with reliable and easy to recognize indications. The first challenge is to differentiate Second from Third Dimension. What I’ve observed is that no homeopathic student who witness this demonstrated in practice and life cases met any difficulty to do this.The key words for the Second Dimension is ‘Existence’, where as in the Third it would be ‘Life’ and although it is essentially the same, the experience is completely different. Second Dimension patients will have the sensation (fear, delusion, dream) of existential emptiness. They feel unstable, incomplete indeed, heavy, insecure, dependent. They will probably talk about their capacity and we used to say as soon as the patient starts talking about ‘I can’t’ you can pin him down in the Second Dimension. Of course this is jumping to conclusions; nevertheless one is surprised how often this is still the case after 2 hours of careful questioning. This capacity can be about function, possession, power, strength, security, performance. Interestingly there is also a quite distinct context in the anamnesis that will turn out to be very helpful in analysis. Often the cases are more or less simple (what by no means is the same as saying that the patients are simpletons! ), the problem can usually be boiled down to one sentence, the patients gives more or less factual information, without much facial or bodily expression and –this may sound surprising until you realize others don’t- they answer your question, often with a kind of definition. The homeopath is permitted to ask questions to these patients, in fact they probably will wait for your questions, while with Third Dimension cases, you might not even get a chance no matter how hard you try to maneuver one in. The Second Dimension patients seem a bit aloof, kind of distant, a bit reserved; even when warm personalities, there is something sober about the whole case, and in extreme cases merely boring. Not so in Third Dimension case. Oh, how we like those patients! They are much more lively, relate to the homeopath (how’s your daughter? What a nice shawl you are wearing!) and they drag you in their stories right away. The answer to your opening question ‘what can I do for you?’ or ‘what brought you here?’ might be a takeoff for three quarters of an hour explanation on how they feel and why this is so. To determine the dimension, this in itself should do. Sometimes the patient warms up a bit slower but still there are feelings all over the place: in every lively example, description, image or story. In the beginning of the anamnesis the homeopath feels sympathy for the patient, as he understands how he feels but as the time passes a growing feeling of despair starts creeping in. More stories, more examples, more symptoms and modalities, more sensitivities will make him ending up with the famous Kentian quote: ‘10 pages of notes but no case’.Cheer up: you’ve already determined the dimension! While Animal remedies often are compensated for obvious reasons, still there will be this body language, this complexity, this multitude and this intensity you’ve lacked in Second Dimension cases. You might have mentioned the context plays an important role in deciding in which dimension we have to look for a remedy. That’s for next time!